If the 10-day forecasts are correct, the winter thaw we’ve all been waiting for is about to begin this weekend. 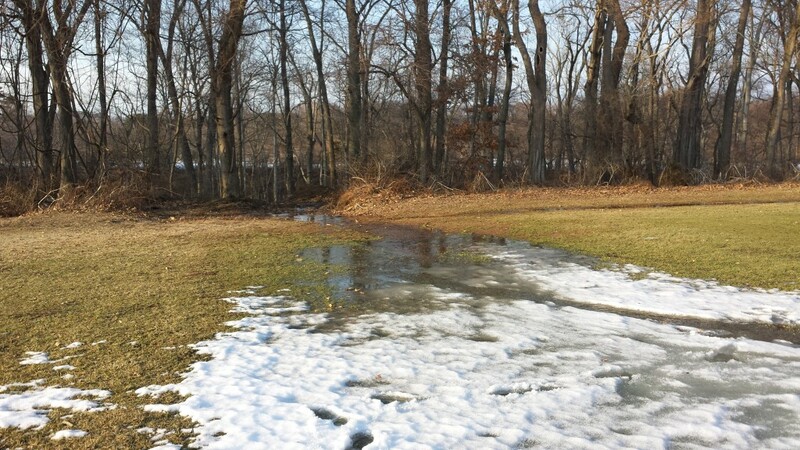 Winter thaw: the most common time “nonpoint” or “runoff” phosphorus pollution enters lakes and streams. 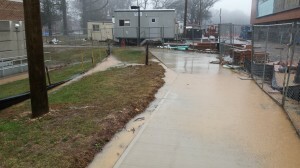 Water pollution from phosphorus occurs during the winter when heavy rains and melting snow wash over landscapes and carry phosphorus-containing contaminants such as sediment (soil erosion) into our waterways (Photo 2). Thus, improving soil conservation during construction, when soil is most vulnerable to erosion, will substantially improve environmental quality. Additionally, maintenance of soil quality and cover after landscapes are established is also important. 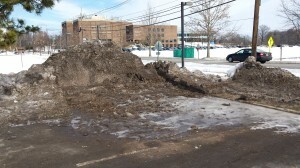 Disturbance of soil cover or a decline in vegetative cover that exposes soil will result in transport of sediment (and phosphorus) in water runoff during the winter thaw (rains and snow melt). Photo 3 shows sediment loss in runoff from a construction site during a winter rain. Avoid applying phosphorus-containing fertilizer in late fall, late winter and early spring when large amounts of water runoff are most likely to occur. Proper nitrogen fertilization should be emphasized to maintain dense ground cover in urban landscapes. 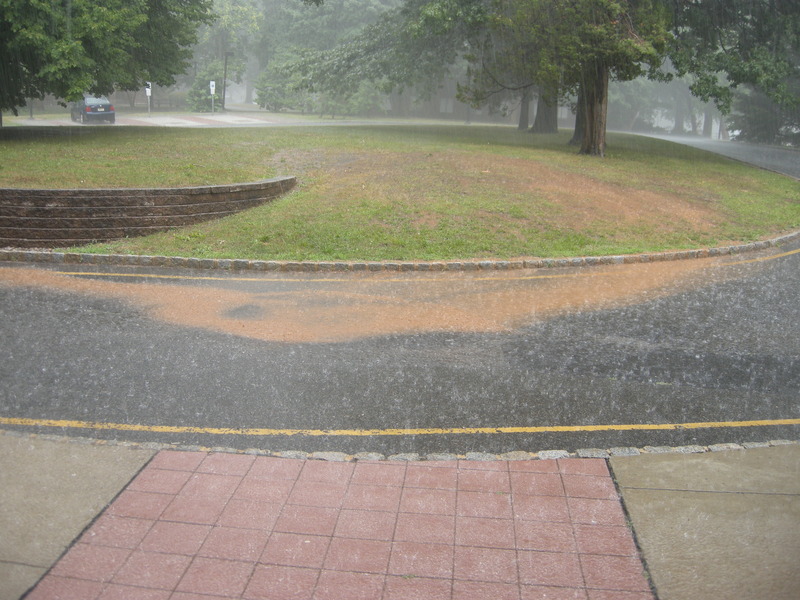 Dense ground cover greatly reduces sediment loss (with attached phosphorus) from landscapes in water runoff. 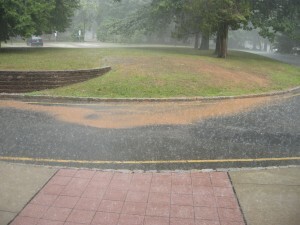 Photo 4 shows runoff laden with sediment from an urban landscape with poor soil cover during a July thunderstorm.